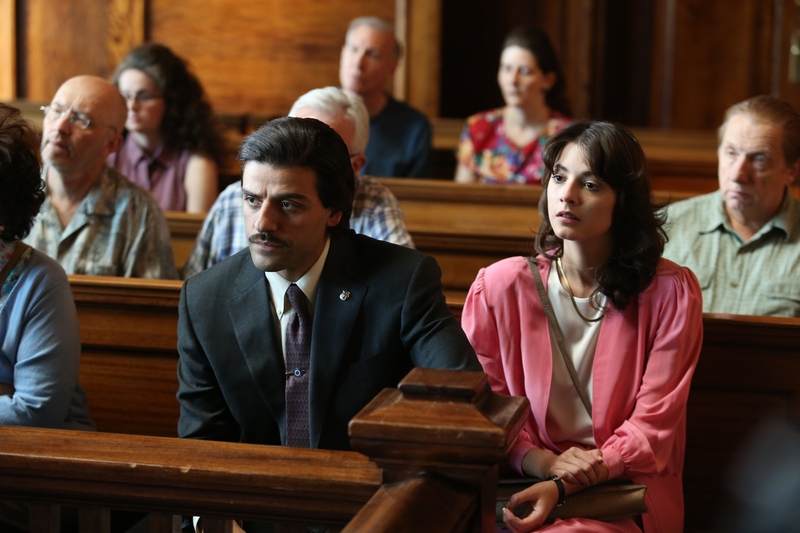 Below is the first chapter of Lisa Belkin’s 1999 nonfiction book Show Me a Hero, which was recently adapted by David Simon into a six-part HBO miniseries of the same title. Belkin’s book (and the miniseries) depict the fight to desegregate housing in Yonkers, New York during the late 1980s and early ’90s, and the story of a young politician named Nick Wasicsko. Nicholas Wasicsko had always wanted to be mayor of Yonkers. Growing up in a two-family house on the west side—the wrong side—of the Saw Mill River Parkway, he was not one of those who set his sights on escape to the east. Instead, he looked even farther west, to the Beaux Arts spires of City Hall. Bright, brash, and confident, Nick let other kids in his lower-middle-class Yonkers neighborhood have dreams. Nick had plans. Both he and his younger brother, Michael, stopped growing at about 5’6″, but that did not keep them from spending the afternoons of their teenage years on the basketball courts of a nearby schoolyard. During one pickup game, Nick mentioned casually that he would run the city one day. For months after that, his on-court nickname was “The Mayor.” Over time, the joke wore thin and was eventually forgotten—by everyone but Nick. He sensed early on that he had a knack, something that he didn’t understand that made things go his way. At age ten, he talked the other paperboys in his neighborhood into letting him take over their routes, and when he had gained control of a large chunk of territory, he hired even younger boys to actually deliver the papers, pocketing the difference. By the age of thirteen, he had his own checking account, but because he was underage it had to be cosigned by his mother, who was a teacher’s aide, and his father, who was a factory worker. He paid for four years at Manhattan College by working at a Carvel plant near the river. When he started, he was driving a refrigerated delivery rig, but soon he had talked his way up the ladder and sat in a chair behind a microphone telling other workers what to load into which truck. He saved for New York University Law School by working as a Westchester County police officer. Fighting bad guys did not pay as much as freighting ice cream, and he needed tens of thousands of dollars in loans to make up the difference, but the pictures of him in uniform in front of a squad car, he reasoned, could certainly help his political career. That career began in force in 1985, when he won a seat on the City Council using the deliberately vague campaign slogan “Don’t get mad, get a new councilman.” He was twenty-six years old, with a baby face that he tried to mature with a slash of black mustache, but he still looked years younger than he was. He had not yet finished law school when he was elected, and, adding to the kid-goes-to-City-Hall image, he was still living with his mother. He didn’t do much as a councilman, mostly watched, listened, learned, and planned. Then, two years later, just five days after he passed the New York State bar exam, he stood on the traffic bridge over the Saw Mill and announced that he was not seeking reelection to the council. He was running for mayor, instead. It was not, on the face of it, a rational decision—less the choice of a twenty-eight-year-old man than of that ten-year-old boy who had always wanted to be mayor. 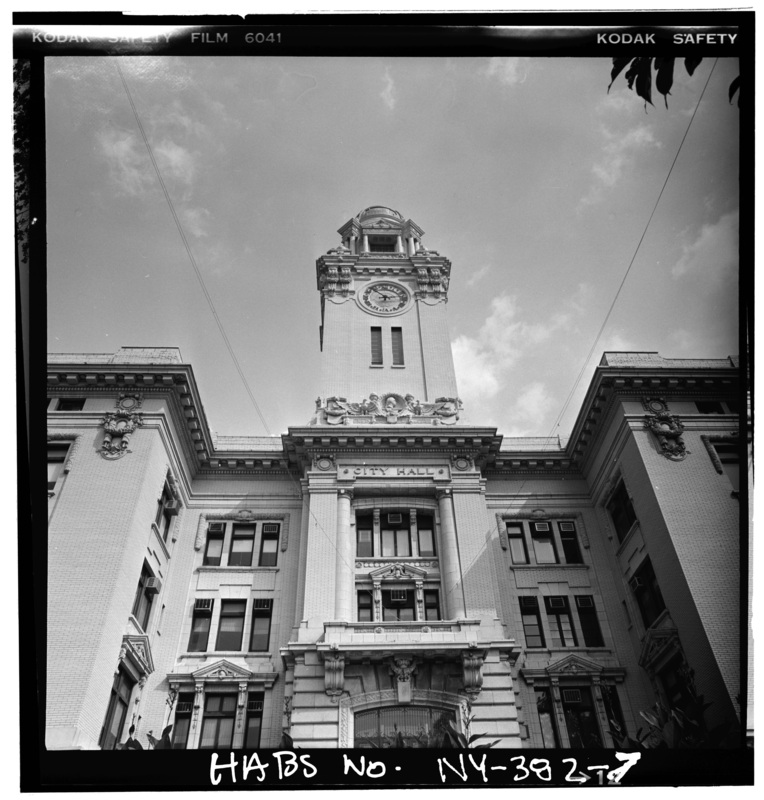 For one thing, the mayor of Yonkers was a largely symbolic position back in 1987, a bully pulpit with no real administrative power, a hot seat that received a lot of attention and an equal amount of blame. It was the city manager who hired and fired, who drew up the budget and signed the checks. The mayor was technically just the first among equals on the City Council. He had one vote, like everyone else, but he got to hold the gavel. At $35,914 a year, it was considered a part-time job, one usually sought by more established men, successful in business, who were looking for a prestigious cap to their careers. Nick’s opponent, Angelo Martinelli, was just such a man—a millionaire publisher who had held the mayor’s office for twelve of the previous fourteen years. When Nick announced he was going to challenge all that money and history, no one in town took him seriously. Although Martinelli was a Republican, he got along just fine with the entrenched and powerful Democratic leader, so even Nick’s own party was barely behind his candidacy. Both Nick and Martinelli had similar voting records, with one exception, one very important exception, but neither man would realize its importance until well into the campaign. First Nick tried to portray the race as a referendum on Youth versus Age. But fifty-nine-year-old Martinelli, though twice as old as Nick, was hardly ancient, and the attempt fell flat. Then Nick tried to paint Martinelli as explosive and confrontational, but in Yonkers those qualities are not necessarily seen as negatives, so that didn’t work, either. Soon, the local newspaper began to refer to Nick’s “naive enthusiasm.” He was a candidate in need of an issue. Summer came and Nick had raised $5,170 in contributions. Martinelli had raised $67,388. The Wasicsko campaign organization was streamlined to the point of invisibility, consisting of Nick, Michael, and Jim Surdoval, a young political consultant who had helped out with Nick’s first council race. The group was all generals and no troops. They did everything themselves. It was not, on the face of it, a rational decision—less the choice of a twenty-eight-year-old man than of that ten-year-old boy who had always wanted to be mayor. “Isn’t the candidate supposed to be telling other people to do this stuff?.” Michael asked at two o’clock one morning as they drank coffee in an all-night copying center, where they were photocopying and folding thousands of brochures. “We the people,” Nick said, swatting his brother with a “Wasicsko for Mayor” flier. The days were just as lonely. Everyone at City Hall thought Nick’s political career was soon to be over, so they kept their distance, and he often felt as if no one in the building spoke to him at all. The only person who was consistently friendly was one of the secretaries, Nay Noe, a young Ecuadorian woman with a Filipina name. At the age of twenty, Nay was one of the few people at City Hall younger than Nick, and she was uncomfortable about being there. She had little interest in politics, but wound up with her very political job because, back then, she was still going to St. Peter’s Church every Sunday. When Harry Oxman, the vice-mayor of the council, asked Father Duffell to find him a bilingual secretary, the priest thought of Nay. She started her job as secretary to the council just after Nick started his mayoral campaign, and, at first, she saw his isolation as arrogance. Over time, she came to feel sorry for him. She saw how hard he was working in his dreary cubicle, returning all his constituents’ phone calls, and, unlike some other members of the council, writing all his letters himself rather than expecting the secretaries to do it. Nay, who took in everything despite her seemingly guileless round face and innocent brown eyes, knew for certain what Nick only suspected—that he was being left out of meetings and deliberately not told about civic events that might help his campaign. She started to think of him as “the Lone Ranger sitting there all alone in the back.” Maybe, she decided, politics interested her after all. One evening, when all watchful eyes had left, Nay walked into Nick’s office and said, “My parents have a house on Pier Street. Do you want to put a campaign sign on my house?” He sent Michael over with the sign a few days later. On her next trip into his office, she was bolder, and asked, “Do you need help on your campaign?” They spent part of the evening in front of the Shoprite on Riverdale Avenue, where Nay watched Nick shake strangers’ hands. She was charmed by his enthusiasm as he bounded up to shoppers, sometimes carrying their groceries to their cars if it meant they would take a few minutes to listen to his ideas. Soon it was not just Michael, Nick, and Jim, but Michael, Nick, Jim, and Nay. The quartet worked hard, covering every part of the city. Nick even insisted on going into the projects, despite the fact that they traditionally had a much lower voter turnout than other parts of the city. Nay came along sometimes, to translate to residents who spoke Spanish. More often, Nick went there alone. His only company was his own determination—and the .38-caliber revolver he always wore strapped to his ankle, a habit left over from his days as a cop. But it was not hard work that turned the campaign around in the middle of the summer. It was Judge Leonard B. Sand, who was running out of patience. Over time, U.S. v. Yonkers would come to stand for everything: Race. Class. Neighborhood. The American Dream. Federal court case 80 CIV 6761: The United States of America and the Yonkers Branch of the National Association for the Advancement of Colored People, et al., AGAINST The Yonkers Board of Education, the City of Yonkers, and the Yonkers Community Development Agency was filed back in 1980, when Nick Wasicsko was still driving ice-cream trucks and going to college. Though it would soon shatter his life and redefine his city, he paid little attention to the case at the time. Neither did most of the people in power in Yonkers. They were certain that this problem, like so many other nettlesome problems, did not ever have to be faced, but could be quietly made to go away. Over time, U.S. v. Yonkers would come to stand for everything: Race. Class. Neighborhood. The American Dream. But back then, it was seen merely as “yet another” school desegregation case, albeit with a twist. 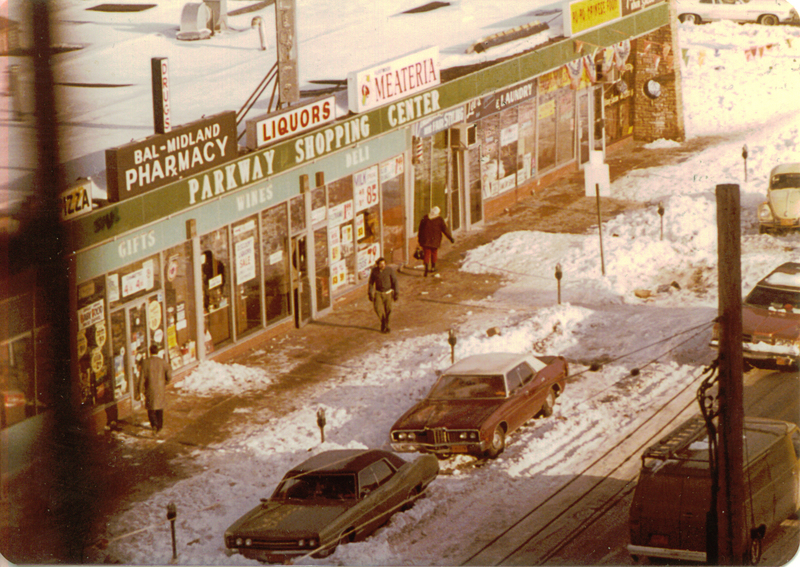 Brought by the Justice Department in 1980, then joined by the NAACP, it charged that race determined location and quality of education in Yonkers, a charge brought increasingly often, and with mixed results, during the late 1970s. This case, however, did not stop there. The plaintiffs went on to make the unprecedented argument that the reason the schools of Yonkers were segregated was because the housing of Yonkers was segregated. Black and Hispanic children went to the same few schools because black and Hispanic families were forced to live in the same few neighborhoods, and any judicial order to change the schools would also have to change the neighborhoods. The lottery that distributes cases at the Federal District Court in Manhattan handed this one off to Judge Leonard B. Sand, whose expertise had been in tax law before President Jimmy Carter appointed him to the bench in 1978. A reserved, elfin man, with silver hair and bushy, wizardly brows, Sand could not have been more of a contrast with the raucous and emotional city whose future was now his to shape. Sand was a member by marriage of the powerful Sulzberger family, which owned the New York Times. He was a wealthy man in his own right, too, an early partner in the prosperous law firm of Robinson, Silverman, Pearce, Aronsohn, Sand and Berman. Money, however, defined his world far less than ideas. Sand was an intellectual judge, one who reveled in reason and lived in his head. When he was not presiding over court business, he could be found padding around his office in worn leather slippers, and talking jurisprudence with his clerks the way others talk the stock market, or soap operas, or sports. “Now riddle me this,” he would regularly say, asking questions rather than making statements, turning thoughts around in his brain, playing with words, delighting in this mental exercise—the law as a meticulously constructed puzzle. To decipher this puzzle, this riddle, Sand heard the Yonkers case himself, without a jury, at the request of both sides. The trial took up most of 1983 and 1984: 93 days of testimony from 84 witnesses; 140 depositions; thousands of exhibits. By the end it was clear that the city’s schools were segregated: twenty-three of the city’s thirty-four public schools were over 80 percent minority or 80 percent white. And there was also little question that its housing was segregated: the southwest quadrant, which contained 97.7 percent of the city’s public housing, also contained 80.7 percent of the city’s minority population. Sand’s job, however, was not to decide if Yonkers was segregated, but why it was segregated, why this city of twenty-one square miles and 188,000 people, a city marginally larger than Little Rock or Dayton, came to have nearly all its minority citizens living within one square mile. Why the Saw Mill River Parkway, the sinuous, shaded road that divided east from west, became a barrier of sorts—white and working class to the east of it, black, brown, and poor to the west. If it was happenstance, then there was no wrong to be righted, no damage to be undone. But if it was intentional, the result of purposeful behavior on the part of the city, then Yonkers could be forced to make dramatic, difficult, history-making amends. Sand decided that is was not happenstance. Yonkers looked the way it did, he ruled, because its politicians, acting on behalf of its very vocal east side voters, wanted it that way. He said so in a 657-page decision, the longest one he had ever written; it weighed three pounds, and contained 166 footnotes, five maps, and five appendices, and when the requisite duplicate copies were filed with the court in November 1985, they were too heavy to be lifted, and had to be wheeled from room to room in a shopping cart. Most of that heft was a chronicle of what Sand saw as a forty-year pattern: housing sites were proposed for the white east side; outraged residents responded by packing the City Council meetings—500, 700, sometimes 1,000 people at a time; council members ordered a search for other possible sites; the housing was eventually placed on the mostly minority, southwest side. But if it was intentional, the result of purposeful behavior on the part of the city, then Yonkers could be forced to make dramatic, difficult, history-making amends. He didn’t even see it as a close call. There was, he wrote, in the understated but unflinching tone of the judiciary, no “basis for doubt that City officials were aware that the course they were pursuing was one of segregation…. 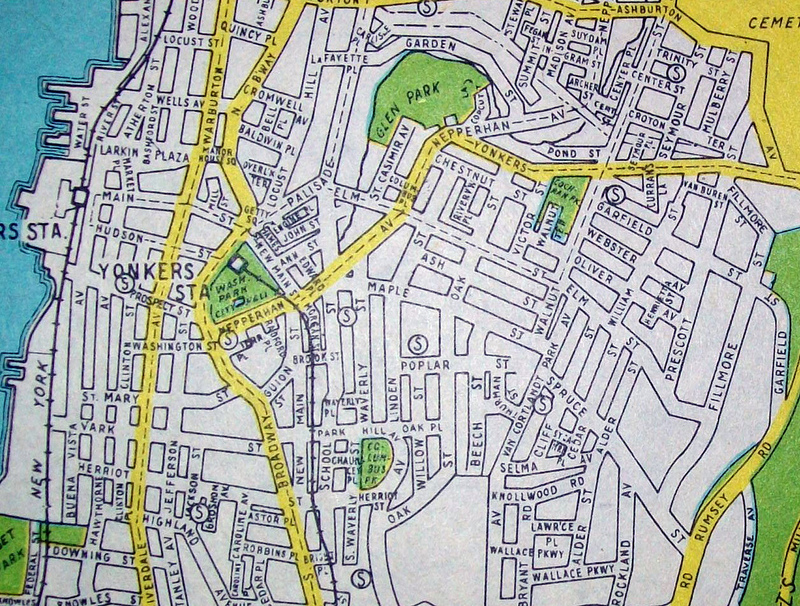 It is, to say the least, highly unlikely that a pattern of subsidized housing which so perfectly preserved the overwhelmingly white character of East Yonkers came about for reasons unrelated to race.” That said, he ordered Yonkers to redraw the map, to refigure the jigsaw, to rework its view of itself, and to move some of its poor, minority residents from the poor, minority side of town, into public housing, to be built just for them, on the white, middle-class side of town. Nick was a brand-new member of the City Council back when Sand first issued that order, and he was mostly a bystander to the headlines and hand-wringing at the time. The council voted to appeal the decision to a higher court. Nick voted for the appeal. Martinelli voted against. For a long time afterward, the problem was considered solved—it would somehow disappear into the court system, as so many of their problems had. There were civic spurts of outrage (“We never discriminated against anyone”) and defensiveness (“Why is the judge picking on us for decisions made forty years ago?”) but almost no self-reflection (“Did our policies cause harm?”) and little concern that the new housing would ever actually be built. From where the council members and the voters sat, Sand’s decision had nothing to do with their Yonkers. That is because the monumental opinion, despite all its weight and evidence and insight, was missing one thing. The central fact of Yonkers, the one that is the key to all the others, is that it only looks like one city. It acts like thirty-eight separate cities, or, at best, a loose confederation of neighborhoods, each singular, organized, and proud. Dunwoodie, Seminary Heights, Wakefield Park, Kimball—home to secretaries, bus drivers, teachers, policemen. Lawrence Park West, Sunnyside Park, Beech Hill—where some of the houses are mansions and deer sightings are not uncommon. Runyon Heights—the only middle-class black neighborhood in town. Fleetwood—filled with co-ops and young professionals. Locust Hill—a longtime Hungarian neighborhood. Bryn Mawr, Woodstock Park—mostly Scottish and Irish. Park Hill—Italian. The Hollows—Slovak, Russian, Polish, and Hungarian. When he graduated, he went on to the New York University School of Commerce, which, at the time, was essentially a trade school, and he came out with a degree in accounting. Had it been an ideal world, however, and had he felt he had a choice, he would have taken a different road. “I really wanted to go to Columbia,” he says, a place that represented to him the lyrical world of literature and words, rather than the practical world of balance sheets and numbers. But it was also a time of quotas and anti-Semitism, so the Jewish boy from the Bronx did not even bother to apply. That his life turned out just fine—Harvard Law School followed NYU, and partnership in a prestigious law firm followed that—does not dull the what-ifs. So he ordered Yonkers to do better. To open its neighborhoods, its enclaves, its safe ethnic pockets. To let outsiders enter, and to give them a turn at transforming their lives. To aim toward that ideal world where no one felt rejected before he even had a chance to try. He did not see his decision as “judicial activism,” although others would differ. He did not consider himself an activist at all, although others would disagree with that, too. No, he says, he did not start with a conclusion and work backward through a justification of that conclusion. He started with the facts, and was led by those facts to the only destination he could reasonably reach. But once there, he found it a comfortable place. It was the logical, rational, right thing to do. The citizens of Yonkers, however, clearly didn’t see it that way. The separateness that Sand saw as a limitation, they saw as a strength. They viewed their barriers and boundaries less as a way of excluding others, than as a way of defining themselves, providing a badge of belonging, a sense of place, a certainty of who they were and where they stood. Those taking comfort in this separateness did not think they were racist. They might have been, and some of the things they did made it look as if they were, but they insisted that this was not an issue of black and white. They did not need lectures on discrimination, they said, since being Italian or Irish or Polish meant a childhood filled with stories of grandparents who could not find jobs or homes or respect because of their accents and their names. Neither did they need lessons from the Bronx. Many of them had also lived a ball’s throw from Yankee Stadium, more recently than Sand, and then fled to Yonkers as their neighborhoods became emblems of urban decay. This wasn’t about race, they said. It was about their pride in overcoming the barriers this country places before all newcomers, and about the lives they had built–modest, perhaps, but theirs. Mostly it was about their fear that someone was trying to take it all away. By 1987, when Nick Wasicsko decided to run for mayor, Yonkers was no closer to building the new housing than they had been when the order was first issued two years earlier. Trying to be patient, the judge allowed the city to decide the specifics of the plan: how many new units, where and by what date they would be built. But after numerous court-imposed deadlines came and went, Sand permitted the Justice Department and the NAACP to work out the details instead. On their say-so he ordered Yonkers to build two hundred units of low-income public housing and eight hundred units of moderate-income subsidized housing on the east side. Still trying to be patient, he asked the city to submit a list of specific construction sites. More deadlines were ignored. Yonkers had come to assume that stalling would work forever. But just before Nick launched his campaign, Sand decided to shake up that assumption. He ruled that since city leaders were having such trouble finding appropriate housing sites, they should hire a consultant to do the choosing. The council conducted a nationwide search, which took a while, then interviewed numerous candidates, which took a while longer. Hours before Sand’s Valentine’s Day deadline, and much to the judge’s surprise, the requisite consultant was actually chosen. Newman still jokes that he got the job because, with his distinctive beard but no mustache, he looks remarkably like Judge Robert Bork, whose conservative views were not thought to be sympathetic to court-ordered public housing. More likely, the council members did not see past the other photo on the jacket of his book, Defensible Space, a photo that showed a public-housing project in St. Louis being blown to proverbial smithereens. The politicians who interviewed him came away believing that he would similarly implode the judge’s plans to blight their neighborhoods. If that is what they expected, they were surprised. Defensible Space is about using architecture to influence human patterns of behavior, and Yonkers was a chance for Newman to further test his theories on a very large, very public scale. A man of immense vision, immense presence, and immense ego, Newman brought to mind this question: If you think you’re brilliant, and you are, is that conceit or merely clear-eyed recognition of the truth? The opposite of the judge in so many ways, Newman soon became one of Sand’s closest advisers. They were not friends, because neither was the chummy sort, but Sand admired the brute force of Newman’s ideas, and Newman, while he thought the judge far too restrained, recognized the power of the bench and saw in Sand’s original decision material that could be worked with. By spring, the judge had accepted Newman’s central philosophy as his own. The large housing projects being planned for the east side were doomed by their very design, Newman argued, and would be a disaster both for the public-housing residents and the surrounding community. The future of public housing, he believed, was a “scattered site” model–small clusters of units that would blend into the community. There would be no shared public spaces, such as hallways or entryways. Every square foot, inside and out, would be private and assigned to individual tenants, meaning each tenant would feel responsible for, and proud of, what was his. 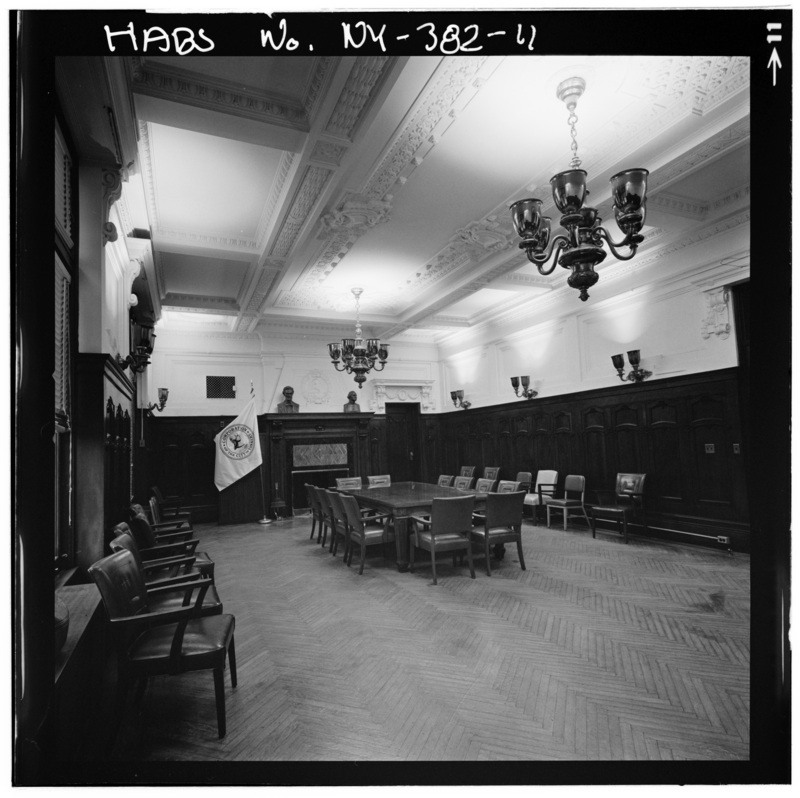 At first, this change of plan pleased the members of the council, though not necessarily because they all agreed with the underlying theory. It takes more time to find numerous sites (Newman’s plan called for eight) than it does to find one or two, giving the city more time to drag its heels. Newman, however, found the sites after just a few days. Spending the city’s money, he hired a helicopter and pilot and flew low over Yonkers, making maps of vacant areas of land. He identified twenty-six possible parcels, about forty acres altogether. It was pure coincidence, he said, that one of those parcels was next door to one recalcitrant councilman’s house and a second was directly across the street from another councilman. The City Council, spending far more of the city’s money, hired a team of lawyers, who discovered legal loopholes that would prevent most sites from being used. Newman went back to his maps and compiled a list of additional sites. The lawyers went back to the books and tried to reject those sites, too. By July, Newman was no longer reporting to the City Council, but was working directly for the judge. What had begun as a three-month contract, for $55,000, had become an open-ended assignment, and the escalating bill was to be paid by Yonkers. Newman installed a separate line in his Great Neck, Long Island, office; Sand was the only person who had that number. Sand announced in open court that he would “keep a phone line open,” for Newman; Newman used that line, calling once from the middle of a meeting at City Hall to tell the judge that officials were not answering his questions as he thought they should be answered. In the escalating debate over the housing, Nick Wasicsko had found his issue—although it took him a while to figure that out. With Newman at his side, Sand’s language turned tougher. It was at Newman’s suggestion, for instance, that Sand placed a moratorium on four private commercial development projects that were to have brought an estimated $12 million in tax revenues to the city each year. If there was such a shortage of buildable land in the city, Sand scolded, what’s all this talk about building a retail mall? An executive park? The city would first meet its federal obligations, thank you very much. And, for good measure, Sand, who had threatened Yonkers with contempt fines before, repeated that threat but with greater specificity. The fines would begin at $100 and double every day, he warned. At that rate, the city’s entire $337 million annual budget would be wiped out in twenty-two days. In the escalating debate over the housing, Nick Wasicsko had found his issue—although it took him a while to figure that out. His slogan in this campaign was a variation of the one that had worked in his prior campaign: “Don’t Get Mad, Get a New Mayor.” Jim Surdoval had the slogan printed on several hundred lawn signs, and, to his astonishment, they were snapped up by east siders who wanted to hammer them into the grass in front of their homes. When the printed signs were gone, people started making their own. Nick was more than just a candidate. He was becoming a cause. As summer became fall, and the noise about the housing became louder, Nick Wasicsko found it easier to be heard. The speeches came more easily for him in the final days of the campaign. Practice had made him more relaxed. It also helped to feel that his audience was actually listening. He traveled from event to event, stressing his belief in the right to appeal, and never really saying what he would do if the appeal was denied. He knew he was leaving antihousing voters with the impression that he was on their side, that he would continue their fight to the death, but the fact was, he didn’t know what he would do. He thought he would be a good mayor. He wanted to be the mayor and the housing issue might allow him to become mayor. He would worry about the rest later. 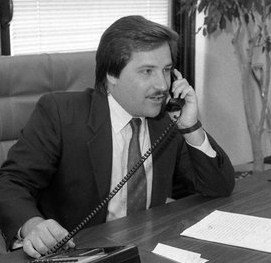 On November 3, 1987, Nicholas Wasicsko defeated Angelo Martinelli by a vote of 22,083 to 20,617. “I never thought I’d lose for one minute,” he lied to reporters after the votes were counted. Public opinion polls showed that Nick was elected because of his stand on the housing. He was not the only one so elected. Of the incumbents considered moderate on the issue, four out of five were defeated. Every member-elect of the council was white, despite the fact that the districts had just been redrawn to encourage minority representation. Nick won, voters told the pollsters, not because of who he was, but because of who he was not. He was not Angelo Martinelli. He knew that was why he won and he didn’t care, just as he didn’t care that he had $20,000 in law school debt and a new job that would pay him less than that, after taxes. All that mattered to him was that, at age twenty-eight, he was the youngest mayor in the country. He was “The Mayor” now, on and off the basketball court. In a few years, maybe he could change that title to congressman, or senator. In the distance he could see the governor’s mansion and the White House. The first thing Nick did as mayor-elect was ask Nay out to lunch. They were like two giddy kids, all youth and giggles, as they stepped into Louie’s restaurant in South Yonkers, where they ran a gauntlet of well-wishers. Everyone in the place wanted to shake Nick’s hand or slap his shoulder as he and Nay walked to their relatively private corner table. Nay’s letter of resignation to Oxman was effective December 31, 1987, but she actually started working for Nick long before then. He put her in charge of what he called “the fun stuff,” including planning the inauguration and the party afterward. Nick wanted to do something different, something that symbolized youth and energy, so instead of a traditional gala in a catering hall, he rented a large boat equipped for dinner and dancing. Every day he gleefully read the updated list of people who had paid $150 apiece to attend his bash–people who didn’t know him or pretended not to know him at the start of his campaign. His City Hall office was neither quiet nor lonely now that he had won, and he practically strutted from one task to the next: hiring a new city manager, sending out press releases declaring a “fresh start” full of “fresh ideas,” schmoozing with the other members of the council, allying himself not with his fellow Democrats, but with a coalition of Democrats, Republicans, and Conservatives who were opposed to the housing. A phone call came on December 28, a phone call that would change everything, and it was Nay who tracked Nick down and put the lawyers through. 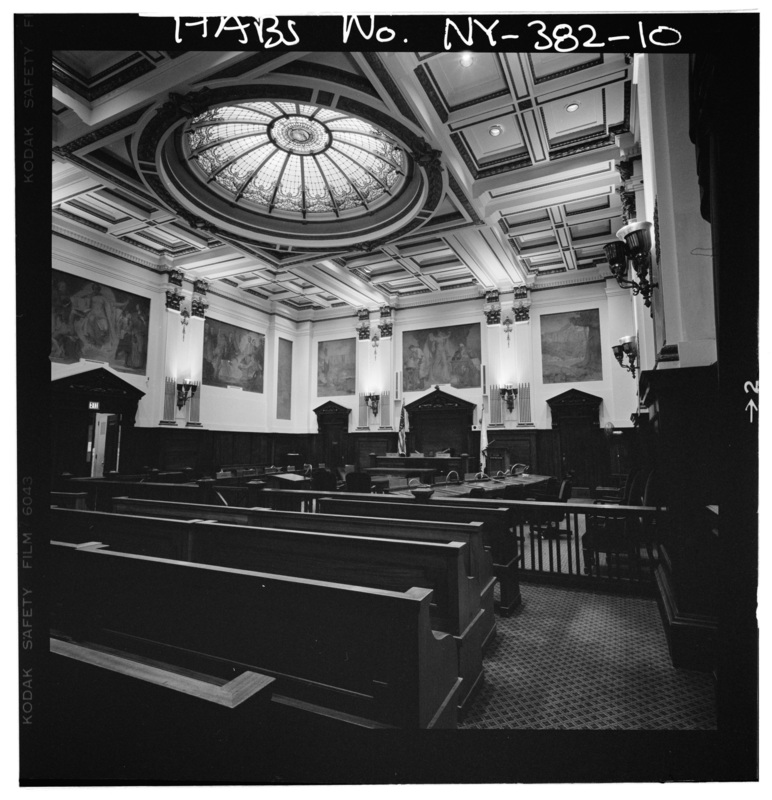 It was four days before Nick was to be sworn in as mayor, and the United States Court of Appeals for the Second Circuit had ruled on Yonkers’ fate. This was the appeal Nick had staked his campaign on, the appeal he had voted for and that Martinelli had voted against. The appeal that was supposed to persuade the higher court that Judge Sand had overstepped his bounds, and that the housing should not be built. Other members of the council reacted to the news quickly and defiantly. “We will take it to the Supreme Court,” said Nick’s fellow Democrat Henry Spallone, the beefy former New York City cop who was always ready for a good verbal brawl, whose political views were described by the local paper as “medieval,” and who was elected with nearly 80 percent of the vote. “The whole thing is a farce,” said Charles Cola, also a Democrat, who, in keeping with the surreal nature of Yonkers politics, won his seat by defeating a woman who had been his secretary until a month before the election. The councilmen waited for Nick to join them in their outrage, and the city waited with them, but the young mayor-elect was unexpectedly quiet. “It is too early to tell whether the city will appeal” was all he was willing to say. Quickly, however, he went from feeling cheated to feeling overwhelmed. He was twenty-eight years old. He had never been responsible for his own rent or his own telephone bill, and now he was responsible for this. Briefly, he thought he should join the shouting. That would be the political thing to do. Take it to the Supreme Court, he reasoned. Isn’t that why the court was there? He was elected because he believed the city had the right to appeal. So why stop with one appeal? Why not go all the way? But since the day after his election, the expensive team of lawyers working for the city had been warning him that the Second Circuit Court would reject this initial appeal, and those lawyers had been right. Now they were telling him that there were no constitutional grounds for an appeal to the Supreme Court. He suspected they were right about that, too. An appeal would be expensive, and the city had already spent millions of dollars fighting the case. An appeal would also risk Sand’s further wrath. The judge would see it as a desperate stalling tactic, which it probably was, and would impose the threatened fines. Vowing to appeal would make him popular for the moment, but would it risk the ruination of the city he had just been elected to lead? Few men have ever had to grow up so quickly. In his inaugural address five days later, Nick made his answers clear. Yonkers, he said, would comply with the integration order, because “the law is the law” and compliance was the only way to avoid crippling fines. He did not say that he agreed with the decision because he did not. He thought that it was unfair to punish the homeowners of today for discriminatory decisions made by political leaders decades ago. But unfair or not, it was within the judge’s power to inflict such punishment. The phone calls started as soon as he finished his speech. They were venomous and violent, a small taste of what was to come. Nay took one message after another, but drew the line at transcribing the obscenities. He read all the messages, responded to none of them, and wondered if he had done the right thing. As the pink stack of “While You Were Out” slips grew higher, he cheered up. He had beaten the odds against Martinelli, he would beat these odds, too. All his life, he had been able to talk people into seeing things his way. He had to believe he could bring them around now, when it mattered the most. Excerpted from the book SHOW ME A HERO by Lisa Belkin. Copyright © 1999 by Lisa Belkin. Reprinted with permission of Little, Brown and Company.